Formula One Management, the company of Bernie Ecclestone, has ended the partnership with Mumm to supply the champagne for the Formula One podium ceremonies, deeming the deal "insufficient". 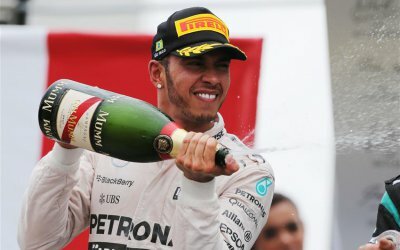 As reported by thedrinksbusiness.com, Mumm owner Pernod Ricard will now supply the champagne for the Formula E podium. “We are very proud of our past and have enjoyed 15 years as the official champagne of Formula 1, seeing great success in terms of visibility and awareness. ", the company noted in a statement. Formula One on its behalf will bring back champagne from Moët et Chandon. The company's history with F1 dates back from its early days in 1950 when Paul Chandon Moët and his cousin Count Frederic Chandon of Brailles offered a ‘Jéroboam’ (large bottle) of their Champagne to Juan-Manuel Fangio, after he won the French Grand Prix, at the time held at Reims, in the middle of the champagne region. Moet et Chandon's parent company, Moët Hennesy is already involved in F1 following the September announcement of Chandon's partnership with McLaren Honda.